We are the Microsoft Office for iPad team. Ask Us Anything. 11:30am Pacific Time We're finishing up. Thanks everyone for your questions and comments. 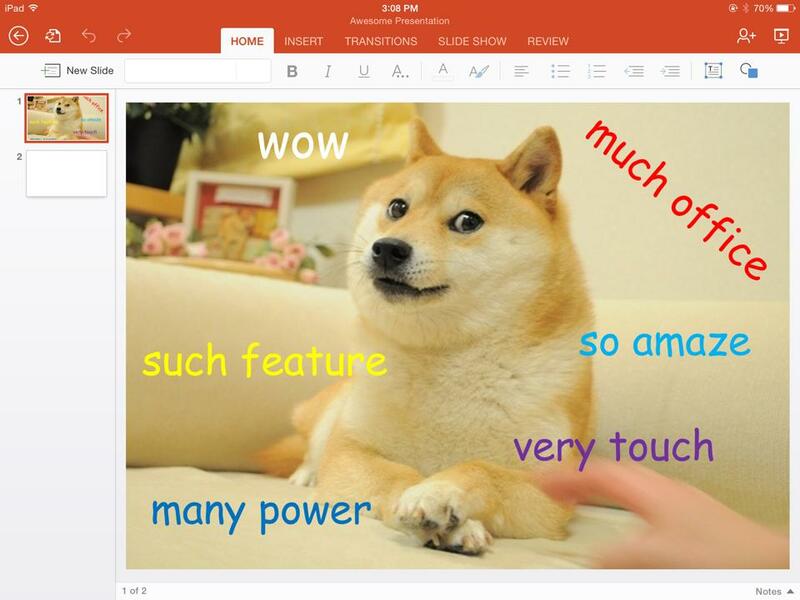 Please tell your friends about Office for iPad. We may try to get to some of the unanswered questions in the next few days. Goodbye! On the Itchy & Scratchy CD-ROM, is there a way to get out of the dungeon without using the wizard key? You should know that this question confused the hell out of our PR and marketing teams. So, awesome job! Yes, we are working on the next version of Office for the Mac. Did you have to pay the 99$ for the apple developer account? Did apple approve your apps for the app store on the first try? We have a very normal team Apple Developer account. And yes, Apple did approve the apps on the first try. We're very proud of that! In all seriousness, how do you feel your software stands as a mobile experience on Apple hardware? Did you have to trim it down at all? Do you feel like it can compete with iWork, being that iWork has a bit of a head start? First, let's get one thing straight: on the Mac, it was Max, not Clippy. Max was an icon of a Mac SE, and, when he got bored, he'd turn himself into a Rubik's Cube. In typical Mac fashion, Clippy was lame. Max was cool. I think the experience stands up well, and the reviews we've all seen generally confirm that we've come close to hitting the sweet spot in the trade-offs all developers face when bringing desktop apps to a mobile device. As for competing with iWork, I think the two products really have different aims and audiences. There's some overlap, but the variety of user needs is really very broad. In that sense, Office and iWork more compliment each other than compete with each other. Office: That dress is rather fetching on you. iWork: Why thank you. You don't look so bad yourself. Office and iWork are always complimenting each other. Office: "Does this dress make me look fat?" iWork: "Oh look! A chicken!" Doughnuts and watermelon on the same plate? Speaking of bold moves: there was an offer to give a year subscription to the first 50 people who walked into a Microsoft store in the U.S. when Office came out. I live in Spain. There's no Apple Store and the only Microsoft store (on Fuencarral street was open for a like a month before Christmas/Reyes). Can you imagine the karma you would get if you gave me a year subscription? And the marginal cost is ZERO! Indentation. Do you use spaces/tabs? How much do you indent? That's a holy war and we are the knights who no longer say Ni. Are you afraid that you have waited too long and that the adaptation of another tool is well underway? And how do you plan on beating Apple's offering, in the home, which is free? Rushing Office for iPad, or any product, leads to sub par experiences — which we absolutely wanted to avoid. We are super excited about the 12 million downloads in a week (thank you!) and reaching the Top 3 in App Store — and we think this is a good measure of success relative to our competition. We’re glad we took the time. So you think we will get to see outlook for ipad anytime soon? Also, how about MS Paint? Do you feel like traitors to the rest of Microsoft? This will date me, but, when I applied for a job at Microsoft, my resumé said that I was interested in working on application software for Windows, Unix and OS/2. Microsoft hired me to work on Word for the Macintosh, and I've been a Mac developer ever since. So, I'm a Mac person because of Microsoft. If that makes me a traitor, it's all Microsoft's fault. This quote from Satya says it all for me: "...we are absolutely committed to making our applications run what most people describe as cross-platform great. There's no holding back of anything. It is about being able to excel everywhere our customers are. One of the questions is, is this a massive tradeoff for you? There is no tradeoff. It's reality for us. It's not a competitive reality. That's not what motivates us. What motivates us is the realities of our customers." So I feel like my work is more aligned than ever with the company's vision. Since Microsoft is famous for dog fooding. Did you guys used Xamarin and C# to write the office for ipad or is it native obj c? If not do you have any plans further down the road to use C#? The Office for iPad apps are completely native! The core logic, such as Excel’s recalc engine or Word’s text layout code, is C++ code that we compile and share across all of our platforms. The UI is all completely native Objective C; we did not use Xamarin or C# to develop our UI. As for using C#, we do use some C# for internal tools. I imagine we’ll continue to use the appropriate native frameworks for each platform (UIKit for iOS, AppKit for the Mac, etc). When will we see this on Android tablets? Why isn't Office for iPad available in my country? Edit: OP replied 5 minutes ago asking what county and then immediately erased that reply. The country is Israel. Edit2 (an hour later): Got a reply. Why did it take so long to make the iPad version? Despite the download numbers do you think you missed out by taking the time it did to produce the app? You said that you're using a shared framework for the text rendering in Word (i.e. shared between platforms). Has it been the same rendering engine since the 90s, or has it ever been rewritten? Do you use anything at all from Text Kit on iPad? No, it's not the same rendering engine from the 90's. I'm reluctant to give exact dates (I can tell you what I had for breakfast, I just can't tell you when I had it), but we rewrote the core several versions ago. Word uses some of the low-level Core Text features to get information about fonts and glyph sizes, but at the line layout/page layout level we use the same engine that Win Word uses. If we use any of the higher-level features of CoreText, then line beaks and page breaks won't be the same across the various versions of Word. I'll be honest, it's kind of frustrating that full blown native Office apps came to iPad before Windows 8 modern/start versions (other than onenote). That being said - since you guys are the Office for iPad/Office for Mac team, how much collaboration is going on between you guys and the Office guys for Windows 8? Will the apps look/function similar? Do they share code? Or are you completely separate? We are part of the broader Office organization and we collaborate with our Office for Windows partners on a daily basis. We share lots of ideas and application code between the teams — and it’s worth mentioning that Office for iPad could not have been possible without this tight collaboration with our Office for Windows partner teams. Is Satya the MSsiah like the tech media is portraying him? How much of the recent headline-making moves can be credited to him, and how many were Ballmer's? Just wondering does NASA use Office at the ISS? NASA definitely does use Office, not sure about on the actual ISS, though I sure hope so. 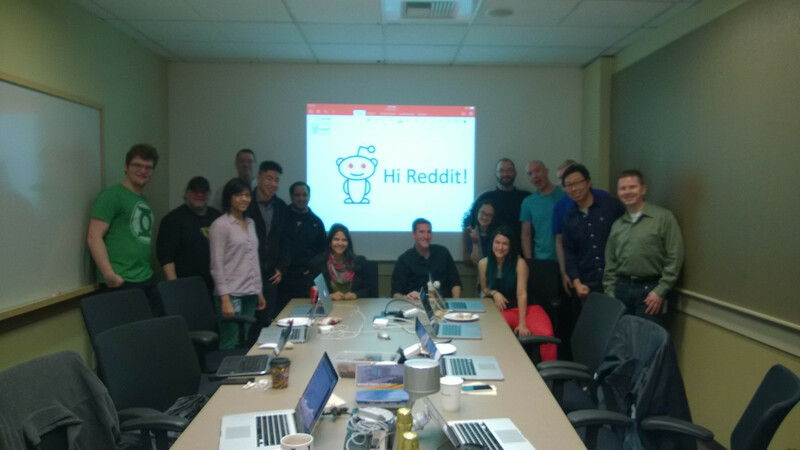 1) How big is the MS Office iPad team? 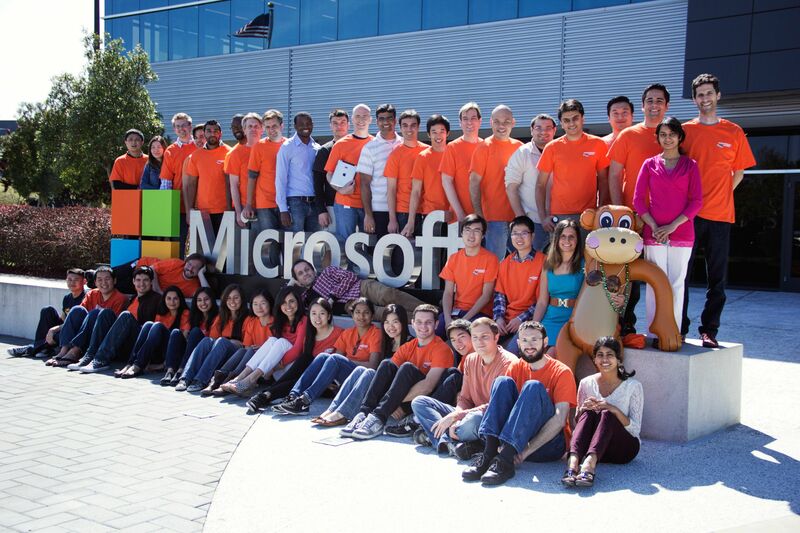 2) Is the team new recruits or moved from other projects inside Microsoft? 3) How long did it take from Design to Release? 4) Any new or interesting features under progress? 2) We are our own, happy team. 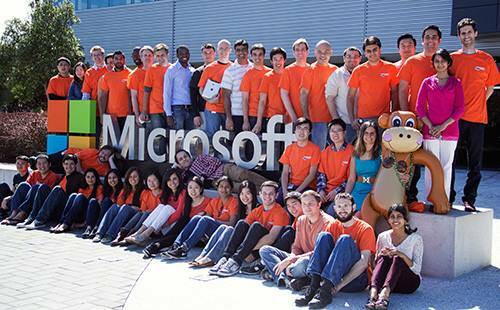 People can definitely apply to join the team from other parts of Microsoft just like any other team though. 3) A while, but it was worth it in our opinion to deliver what we think is a great touch version of Office. 4) Yup! One of the great things about Office 365 being a subscription is that you can expect to get frequent updates, so stay tuned! We think you'll like them. Do you think introducing Microsoft Office for iPads will decrease demand for Microsoft tablets, such as the Surface? First, thanks so much for your hard work in creating this awesome software! And congratulations on its success thus far! 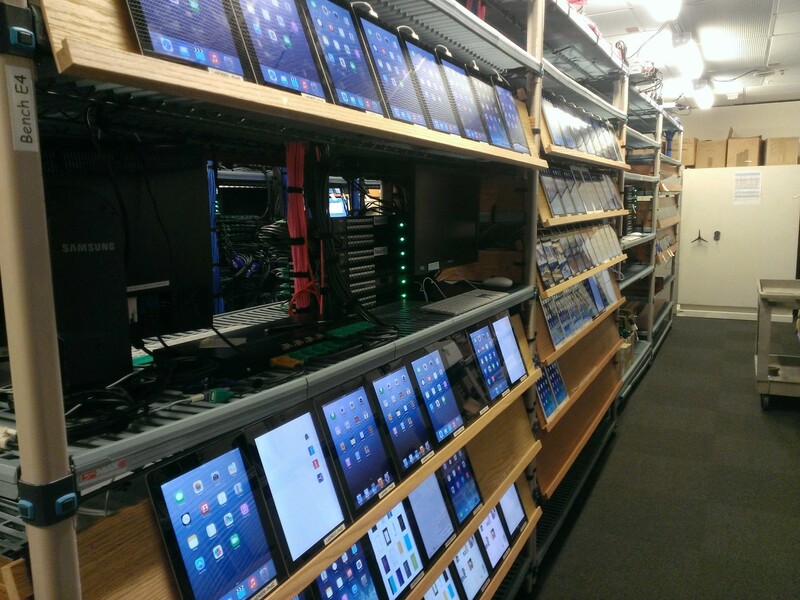 1) Office posted yesterday a picture of your iPad lab where you test these apps. Can you tell us more about the testing lab setup? Any special challenges with testing iOS devices? 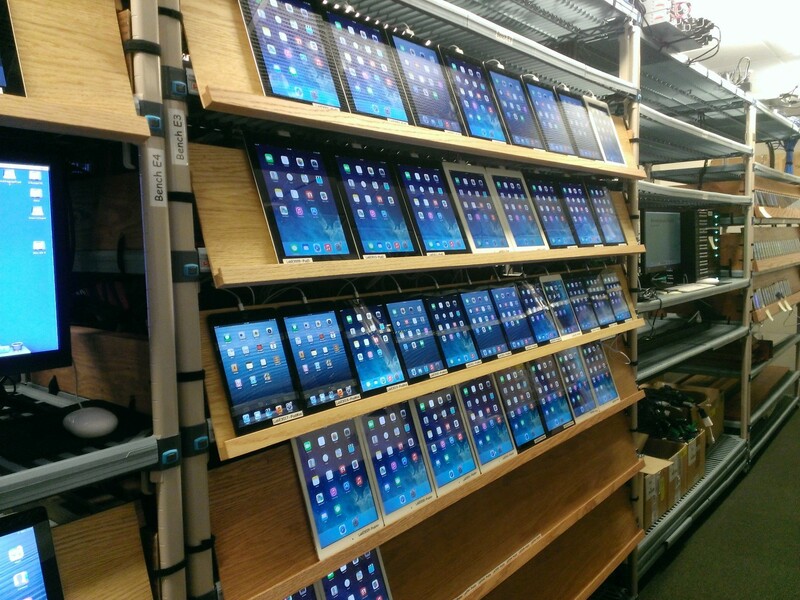 Also, does it feel like Christmas Day when you get that many iPads in and unbox them all? 2) What's your favorite free beverage at Microsoft? 3) Any chance you would consider adding a pass code lock to Office for iPad apps? Thanks! Oh, and a shout out to jleblanc again! The lab is an impressive sight (http://i.imgur.com/XbOzn51.jpg - http://i.imgur.com/lZUeVjO.jpg) and getting a bunch of new ones is absolutely like Christmas. YOU'RE USING COMIC SANS!!!! WHAT??????? I'm escalating this to the lab team immediately. Thank you for the feedback. Is that…. is that Comic Sans? It is indeed! I'm trying to get them to switch to Comic Neue Light though. Is that the lab in Las Colinas? No, this lab is in our building in Redmond. When will it be possible to write extensions for Office for iPad using the new Apps for Office model? Im looking forward to that. Sections 2.7 and 2.8 of Apple's App Store Review Guidelines emphatically state that downloading, installing, or launching any sort of code other than your app's own code is prohibited. I don't know if Apps for Office would be allowed in the iOS App Store. I've been eagerly anticipating the release of Office for iPad ever since I got one (about 3 years ago). However, I'm still running on iOS 6 and can't download it. I guess what I would like to ask is whether it is possible for an app to be compatible with both iOS 6 and iOS 7? And if so, why is Office only compatible with iOS 7? Forgive me if that's a stupid question, but I really don't know anything about how apps are designed and am just curious. Over 85% of iOS devices connecting to the Apple App Store are running iOS 7 (https://developer.apple.com/support/appstore/) We want to provide the best possible experience on the most prevalent UI, so we chose to require iOS 7. Engineering student here. I'm really excited to see OneNote make it to the iPad. I have already started taking notes, and so far it is the one program I have ever cared to take notes on. But yourself being engineers, I'm sure you have had to use mathematical notation with your notes, I recently downloaded the mathematical add on for my PC, but I have absolutely no option with the iPad or macbook air. That pretty much rules out me being able to take any notes using OneNote. Is there any plan to bring mathematical notation to the iPad? or Office for mac? Otherwise all the office apps are useless to me. Thank you for doing this ama I excited to see improvements! Thanks for the feedback! We've heard from several students like yourself that equation support would be useful. We're looking into it. 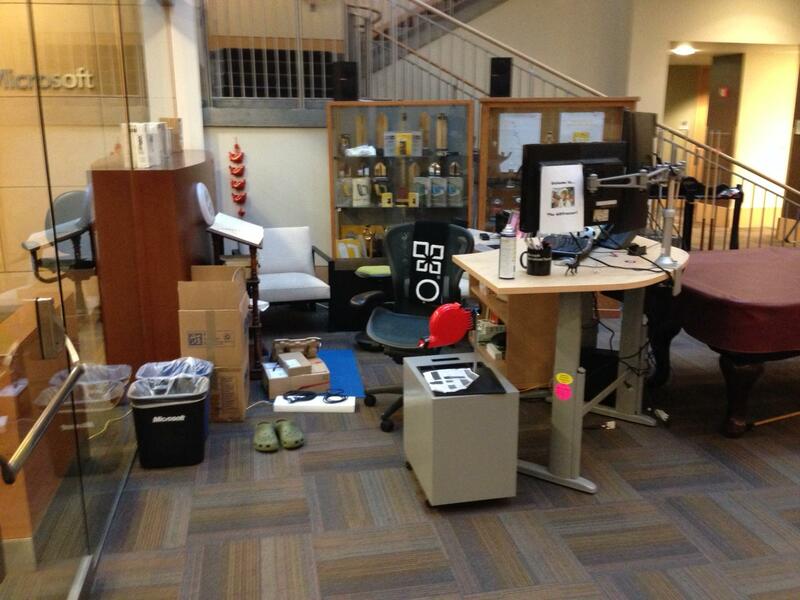 Do other Microsoft employees throw stuff at you in the halls and call you traitors? Hi! Is there any chance that it looks like the normal office and isnt a completely new version ill have to 're learn to teach my mom over the phone? Are you working with other Office app teams to bring some of your UI innovations to Office on other platforms - like Win8 modern? We work closely with all the Office app teams to make sure the apps look and feel similar. 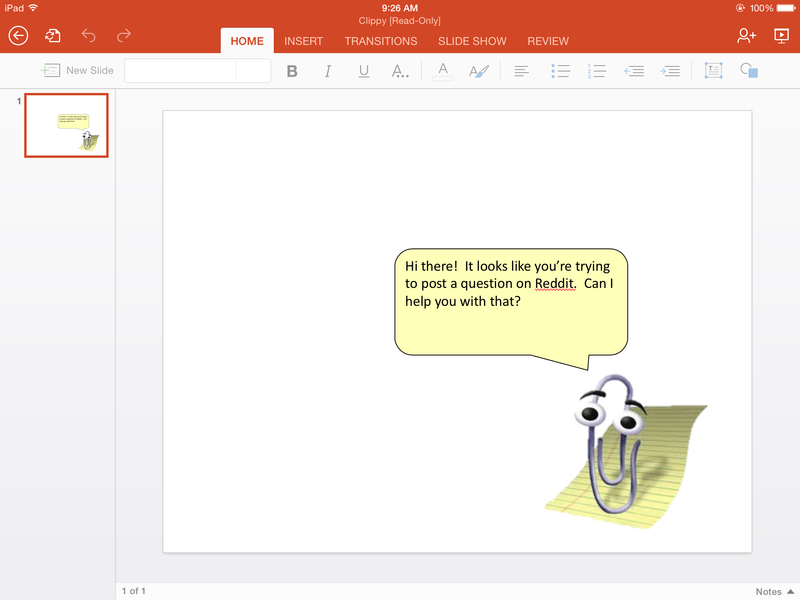 What innovations would you like to see spread from Office for iPad? What are the chances that you guys will bring back Clippy? Easter eggs are frowned upon nowadays (apparently too many people spent too much time at work searching them out and playing the mini-games) so we don't make them anymore. As somebody who is downloading these apps for the first time as I type this, can you tell me what the best way will be to access documents? I have a list of excel sheets that I'd love to access/edit from my ipad. I have several cloud storage locations, is that the best method? Or should I copy the documents local to my ipad via iTunes? Also, I read somewhere about not being able to edit xls files? Do I need to update my format to xlsx? I have purchased the Apple suite of editing apps, but never really cared for them. Hey! So we think the best way to work with Office for iPad is to have your workbooks, documents, etc. all stored in OneDrive so that you can access them from anywhere. You can also side load workbooks directly onto your iPad if you prefer though. With regards to XLS, while we don't allow you to save back to that file format, we do support loading it, and we'll give you the option to convert it to XLSX if you want to edit it. What are some of the cool vintage Apple products you have in your office(s)? Where there any unforseen complications in the making of these apps? How did you handle it? Yes, we ran into a number of complications, most of them involving resource constraints. For example, if you opened a document in Word with a lot of comment bubbles, Word would run out of memory. Fixing some of these required re-architecting some features, which is one of the reasons it took us so long. To pile on to what Rick said, PowerPoint ran into similar resource constraints for SlideShow. We wanted to make sure that everything worked as you would expect (transitions, animations, etc.) and as you can imagine that is quite hard to do on a small device. We had to make several trade-offs to get the experience just right for our customers. The apps use a similar visual language as Office on Windows platforms, but obviously evolved for the screen size and interaction style of the iPad. The ribbon in particular went under heavy adjustment. What was the design process for that like? An important design goal was to be Unmistakably Office, Optimized for iPad. An touch-first and slate-optimized Ribbon was indeed a cornerstone of this effort. The design process entailed bringing over the essential Ribbon functionality, but with a fierce reduction of complexity. Our goal was to make the Ribbon as minimalist as possible — if something wasn’t essential, we left it out. In terms of visual language, Office for iPad represents a fusion of the best of both worlds: Microsoft’s Modern Language and Apple’s latest iOS 7 aesthetics. Too long, and lots! Seriously -- Our iOS code is shared with our Mac Office code so it's difficult to separate out how long each flavor takes to build. I work with Apple's developer tools (Xcode, clang compiler, etc) and we're always looking for ways to improve our build performance. If you could add one thing to Word what would it be? What was the most challenging part of porting a Windows application to an iOS environment? Was the code completely rewritten in Obj-C, or did you guys use some kind of cross-compiler? Actually, we didn't port the Windows apps to the iPad. We started with the Mac Office code base, and ported it from Carbon to Cocoa/UIKit. The code itself is a mix of C/C++ code for the core logic and Obj-C code for the UI. There is some seepage across the UI/core logic boundary where UI code is C/C++ and core logic has some Obj-C code, but we work hard to make the core logic use the same code across not just Mac and iPad but Mac, iPad, Windows, Surface and anything else that might come along. The biggest challenge was working within the resource contraints of an iPad vs a desktop Mac, and the issues span a wide gamut from memory to processor speed to battery usage. Getting Word's scrolling to be so smooth as it is, for example, took a fairly impressive engineering effort. Why? Why the iPad mini?? What languages do you guys know? My uncle knows C# and used some software to make an app out of it. Did you guys do the same? How long did it take and how much money was involved? Also well done on the app I shall download it some point this week! We use C/C++/ObjC for the product code, but tester write code and tools in C# as well as scripting languages. Most engineers have a computer science background and/or degree, some with an MS. If. You know anything about onenote, then I'd like some help if that's alright. I just can't sign into my office365 account on onenote, I know the pass and email is right but it just won't sign me in. Any thoughts? OneNote requires you to sign in with a free Microsoft account (different from Office 365). This could be your login for Xbox Live, OneDrive, Outlook.com, etc. Did you try that log in? If so and it's still not working, le me know. Do you think that Microsoft Office for the iPad will ever gain the same market share as you currently have for PCs and MacBooks? Even though more and more people are owning tablets, they are a lot less intuitive to use. Have you made your product more accessible to these difficulties?